Funding Development; typical and non-typical funders and partners. Community Fisheries’ Organizations – “CFOs”- Organizations that are Invested in their Rivers, Streams and Watersheds! A CFO may be a group of fisherman (Recreational, Commercial, Tribal), an organization or association, a Tribal organization, a City or County, a Business and more: Coastal or Inland waterways. The most effective Fisheries Enhancement entities and programs today are CFOs! CFOs are Doer Groups that have a vested interest in improving the salmon and steelhead runs in their rivers, streams and watershed. Organizations that are impacted by the adult returns of Salmon and Steelhead for their fishing opportunities, economic impact, environmental impact and heritage. CFOs work to create a sustainable culture of fisheries enhancement. CFOs currently have challenges, resistance, regulatory needs and dynamics that are difficult to find resources to move forward in fisheries enhancement in their watershed. Many have been forced to discontinue. The Magnuson-Stevens Fishery Conservation and Management Act authorizes the creation of Fishing Community and Regional Fishery Associations. NWFE brings Hatchery Management options and support to build competitive Public/ Private Partnerships with CFOs that will engage with current programs. NWFE brings Funding Development, Membership Support, Planning, and Administration support. CFOs can build a Chamber of Commerce approach to Fisheries Enhancement within a watershed by involving the many concerned and impacted groups. Northwest Fisheries Enhancement- NWFE is approaching entities such as yours that have responsibilities toward Fisheries Enhancement and are hatchery owners. We understand that your industry is facing new challenges and now more than ever a need for objective and value management of your fisheries responsibilities is forefront. Industry change, hydroelectric issues, heightened rate payer, customers, and watershed community’s concerns are driving change for sustainability and to meet regulatory responsibilities. Competition for mitigated fisheries management has been limited and many times challenging with only a few directions available to you in the past. “We need more money” has been the way with only poor results. NWFE is offering new opportunity for your consideration, competitive options towards management of your fisheries responsibilities, hatchery management and wild fish propagation programs to assist in meeting the new era challenges. A Working for You, Cost containment, improve efficiencies, value engineering, value added, manage and decrease cost, goal and results driven approach. Not just “we need more money” with only poor results. We’re offering to build Public/ Private Partnerships and management options with NGO efficiencies, meeting responsible and modern best practices. And bring seasoned fisheries, business, finance, public personnel and executives with a passion for fisheries enhancement to strengthen your programs. Best Practices for Hatchery and Natural Origin fish management. Improve Results for your rate payers, customers and communities. NWFE is offering more than just hatchery management options, a Value-Added approach for your considerations and to assist your new era challenges. You won’t see this type of approach from our competitors. Results Driven through proven and modern best practices for your fisheries enhancement programs. Feel free to contact for further opportunities. Hatchery and Fisheries Management – moving into an 10.0 version and beyond. Meeting responsible best and modern practices for Hatchery options and Natural Origin Salmon and Steelhead management. Bridging Stock enhancement, Aquaculture and Tribal practices for best results and cost management. Build Public/ Private Partnerships that offer hatchery owners Competitive management options. 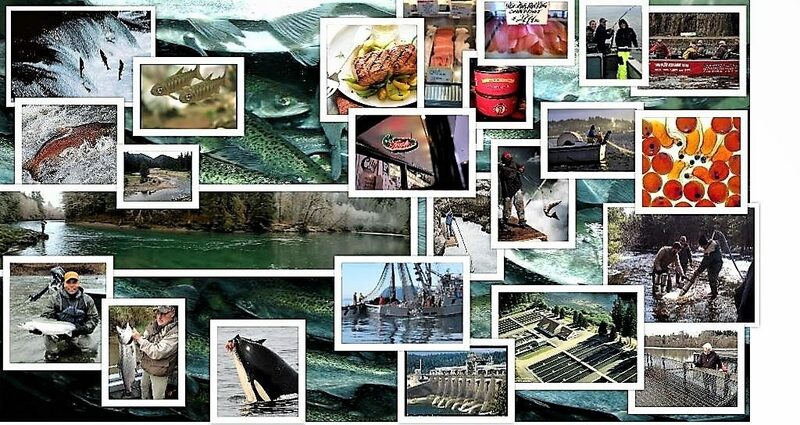 Bring seasoned fisheries, business, finance, public personnel and executives with a passion for fisheries enhancement in our waters of the Northwest to develop or strengthen programs and enhance Hatchery management. Build on Hatchery Reform Policies and guidelines of the Hatchery Scientific Review Group (HSRG) and hatchery reform. Integrate Hatcheries into support of Wild / Natural Origin Salmon and Steelhead Adult returns. Build a Community approach to Fisheries Enhancement. Drive the economic and enviromental impact of succesfull fisheries management. Stengthen and Build Vanguard programs. Government at various levels has generally managed Fisheries Enhancement of Salmon, Steelhead and Trout, but Government funding is shifting and fisheries enhancement is left on the downside of funding. A need for a funding development entity towards fisheries enhancement. NWFE looks to be a dynamic entity in Fisheries Enhancement Funding Development from typical and non-typical funders and partners. NWFE looks to Build Return for our supporters, funders and partners. We can develop many substantial and effective programs toward fisheries enhancement -they all need funding! The vision is that Government has generally managed Fisheries Enhancement of Salmon, Steelhead and trout, but that Government funding is shifting and decreasing, salmon fisheries enhancement has been left on the downside of funding. This dynamic shift has created a need/ opportunity for an entity to play a role in fisheries enhancement in the Northwest US and beyond. The Non Profit model for Fisheries Enhancement management is successfully in Alaska, Canada and will be a fit for the Northwest. • Meeting responsible and modern practices for hatchery options and Wild/ Natural Origin Salmon, Steelhead and Trout enhancement. • Strengthen or Build Community Fisheries Organizations (CFOs) to help improve Salmon and Steelhead returns to their rivers. The most effective Fisheries Enhancement entities and programs today are CFOs that are invested in their rivers! • Build Public/ Private Partnerships that offer hatchery owners competitive management options without relying too heavily on the government. • Bring seasoned fisheries, business, finance, public personnel and executives with a passion for fisheries enhancement in our waters of the Northwest to develop or strengthen programs to ensure Salmon and Steelhead return and their survival. NWFE- Northwest Fisheries Enhancement is a Private Non Profit Organization.